The exploitation of mineral resources produces large amount of mine tailings. Usually these tailings are pumped into a sedimentation pond in a slurry state to be stored. However, the process of tailings slurry transformation from the muddy fluid state to the natural sedimentary soil has not been understood adequately. 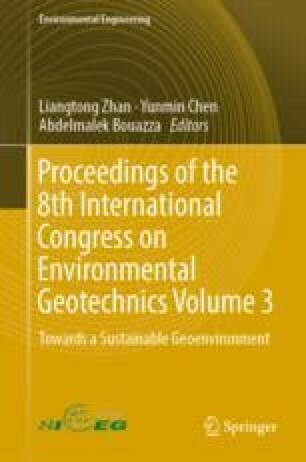 This paper studies the mechanism of tailings sedimentation and consolidation process by model test. The sedimentation and consolidation of muddy soil was carried out in a one-dimensional experimental setup to obtain the tempo-spacial variations of displacement and pore water pressure during the process, and the physical mechanism was further investigated. The deposition process of tailings can be divided into two stages and three zones, which can be distinguished by the change of slurry surface and pore water pressure. The results of this paper can provide new understanding about the mechanism of transformation process of slurry.